Three Day Grace's "I Hate Everything About You", track is what drew me in and made me a fan for the next two decades. Well while being a fan is still a part of me, their line-up is not as what it used to be, dating back to as far as their fourth album "Transit of Venus" released back in 2012 to feature longtime vocalist Adam Goniter. Who would leave the band in 2013, the band moving forward with replacing him with Matt Walst, as he would release not one but two albums with the band's original lineup minus Adam Goniter. The first album being "Human" released in 2015 with the follow-up album "Outsider" out in 2018. How did the changes take effect of the band as a whole and for the more important part their music? Well "Human" (2015) was more or less a fresh start for the band, whereas "Outsider" is a continuation of that refresher. "The Mountain", is the first idea of which direction the band has taken since releasing their last record with the replacement vocalist Matt Walst. The track is an improvement that needed to happen to have this band last or at least move forward if this line-up plans on being the staple for the long haul. It is as said quite an improvement, the sound being very reminisce to their earlier records. The vocalization done by Matt Walst is very hard rock based, bringing in that element that Adam Goniter was so known for, his fierceness in his tone of voice, his way with the sounds of music just working in his favor. That is what is happening with Matt Walst throughout "Outsider". Especially on this track "The Mountain", it has this flare that just brings out that old Three Days Grace vibe with such enhancement it really shows in more ways than just the voice, the instruments as well, being hard, heavy, and truly hard rock driven. The rest of the album with tracks like "Right Left Wrong", "I am an Outsider", "Nothing to Lose But You", "Love me or Leave Me", and "Strange Days", are the pick of the latter, from "Outsider". These likely being made into the next single or video release for sure. These all just give off this feeling of emotion, really striking you in the emotional circuit. But besides giving off all of the feels, the music is really powerful, very in-depth with development and overall improvement from the "Human" (2015) album. Literally this release "Outsider" is more if how the band should have sounded when releasing their last album. 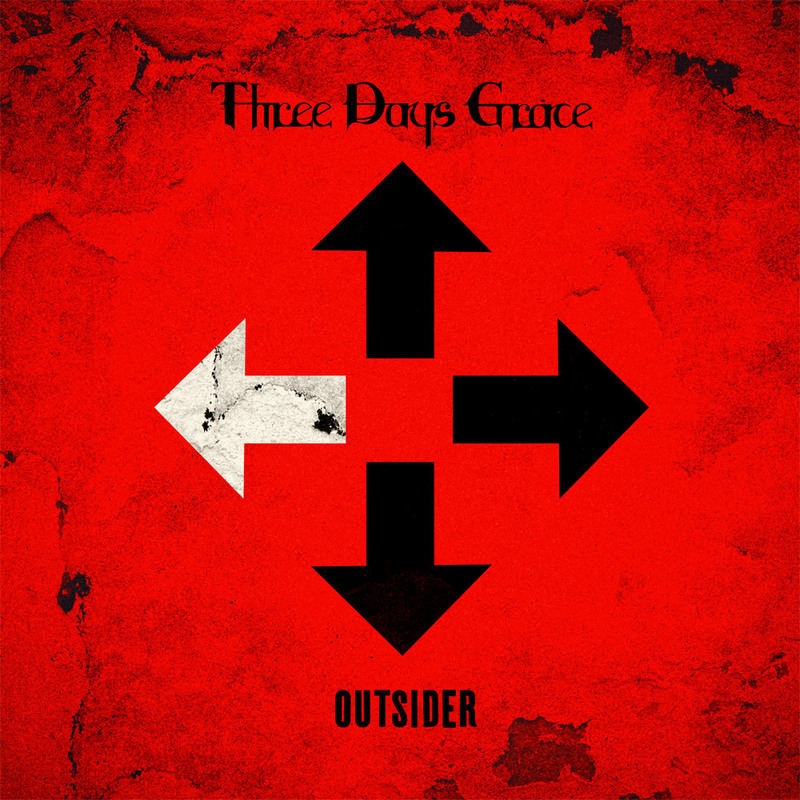 That last release was good for what it was, but this album is far more superior in many factors, vocalization being a big one, while the instruments are more on put with the sound, being heavier, melodic, yet very hard rock, but in the classic way of how Three Days Grace sounded before, bringing back the feelings all over again.